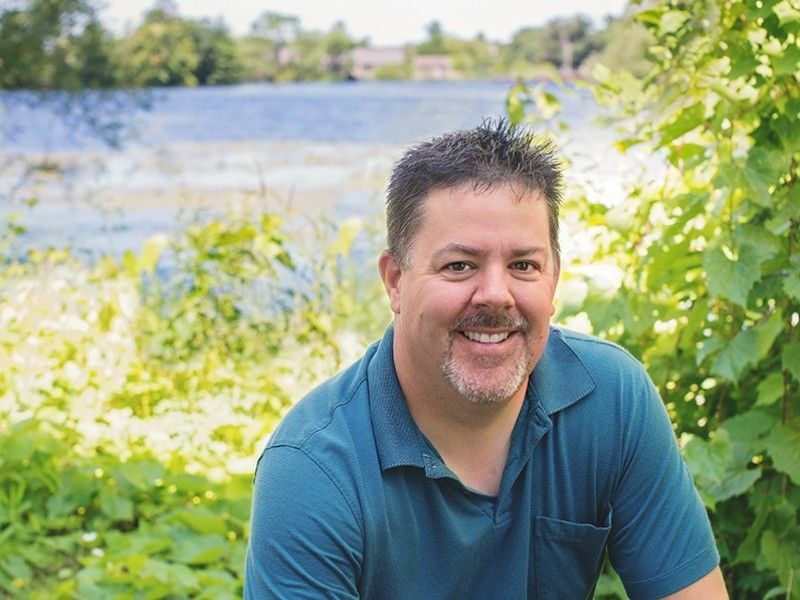 This week's 21 Things You Might Not Know About Me features Darren Cox, Founder of Anchor Bay Counseling Services in Spooner, Wisconsin. What is Anchor Bay all about? "Being fully alive. Standing beside people as they grow and change. Overcoming difficulty. Revealing a life of purpose. Discovering hope...". The name Anchor Bay comes from a passage in the Book of Hebrews. "We have this hope as an anchor for the soul, firm and secure." Darren says that "the target outcome of all therapy services is that people find their emotional or relational footing again. To have a firm foundation that enables them to get back to a life of meaning and purpose rather than just getting by." I was born and raised in Northern Minnesota on the Iron Range. Yes, I am a Vikings fan. I graduated from Greenway High school. Go Raiders! I completed Grad school at Dallas Theological Seminary. I could have been a therapist or a pastor. I love being married to Heather Jean. 20 years later, I would do it all over again in a heartbeat. I love being a dad to Katie, Kayla, and Cody. They are the light of my life. I am an introvert. Ironic given that I talk for a living. I would wear jeans and a flannel every day if I could. I want a tattoo but am too chicken to get one. I was trouble as a teen. Thank God for forgiveness. I am not a therapist who happens to be a Christian. I am a follower of Christ who happens to do therapy for a living. I started Anchor Bay two years ago. Going into private practice was the best career decision I have ever made. My workout mix is Metallica, Metallica, and more Metallica. Montana is my favorite place. I would move there tomorrow if I could. I live my life by the principle that God is most glorified in us when we are most satisfied in Him. I hate the movie, The Notebook. Makes me cry every time I have to suffer through it. Although that is exactly how I want to die. While away on a business trip, I decided I would finally learn how to text and sent my wife a series of 4 love notes letting her know I missed her. I sent them to the wrong phone number. I still love to play in the snow. If you are interested in submitting a "21 Things You Might Not Know About Me", contact Ben Dryden via email at drydenwire@gmail.com.